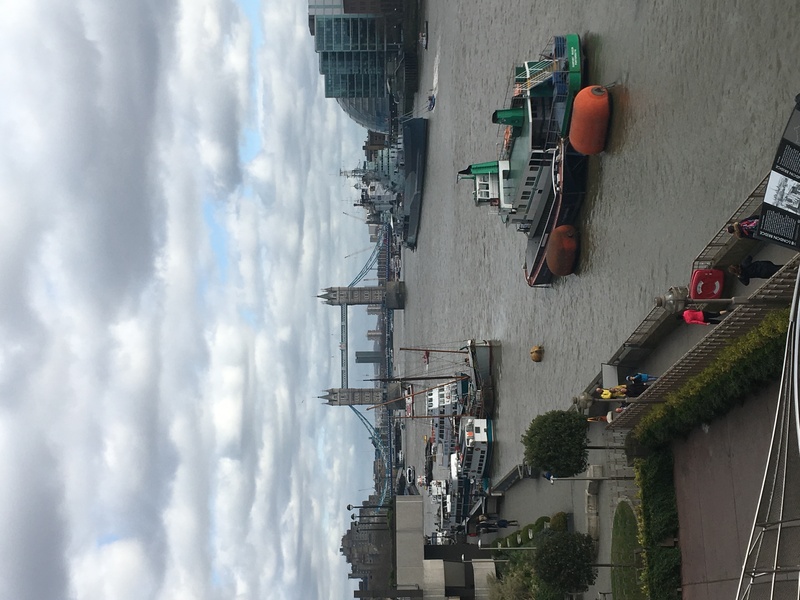 London is my very favourite city in the whole world (well, so far – I haven’t visited them all yet!) and so I thought I’d share with you some of my best photos from my travels to the capital in the last year. 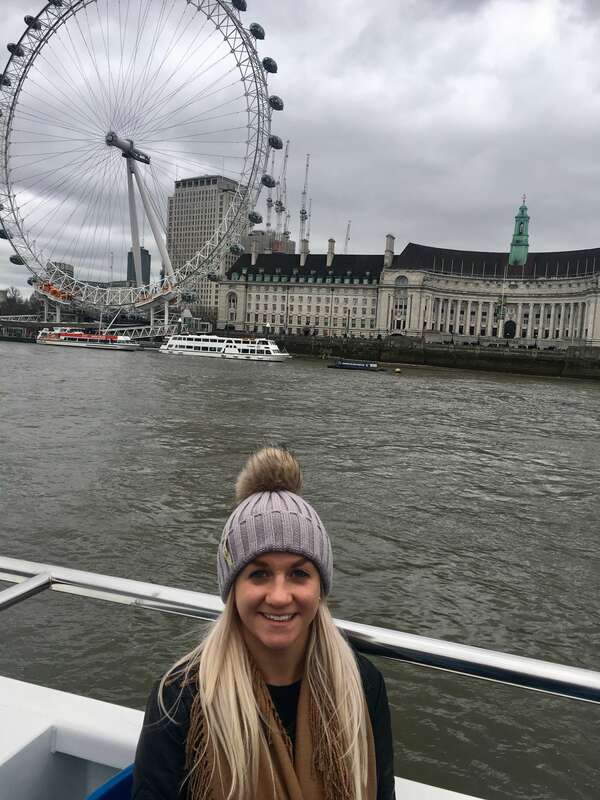 You can’t come to London without seeing some of its most famous sights – Buckingham Palace, Big Ben, the London Eye, the list goes on. London transportation is super easy to use and I usually use the tube to get around. Rather than buying a ticket, just use your contactless debit/credit card and you’ll get the same rate as an Oyster card with no hassle and no queueing. This pic was taken on the Thames River Cruise. 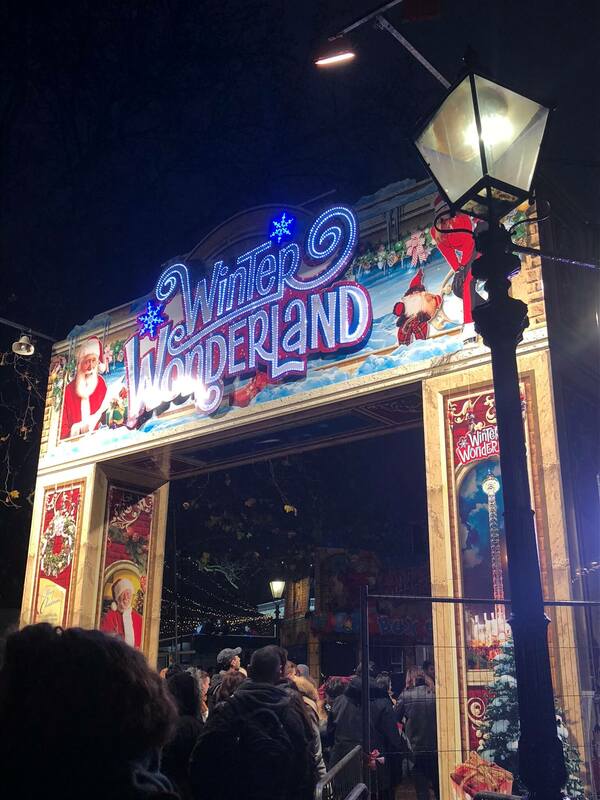 I visited London in November with my friends. 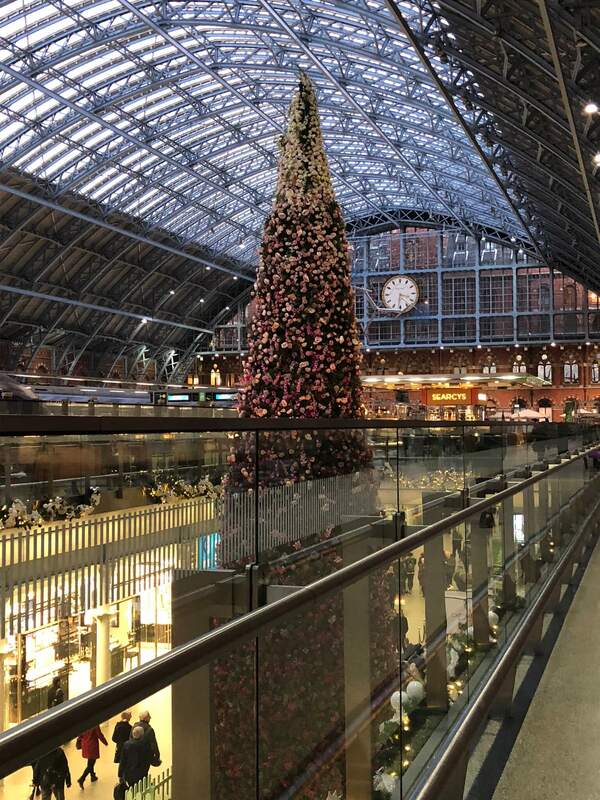 I love London at Christmas and it was super Christmassy this year – from the lights on Carnaby Street to the Christmas tree at St Pancras and the annual Winter Wonderland. 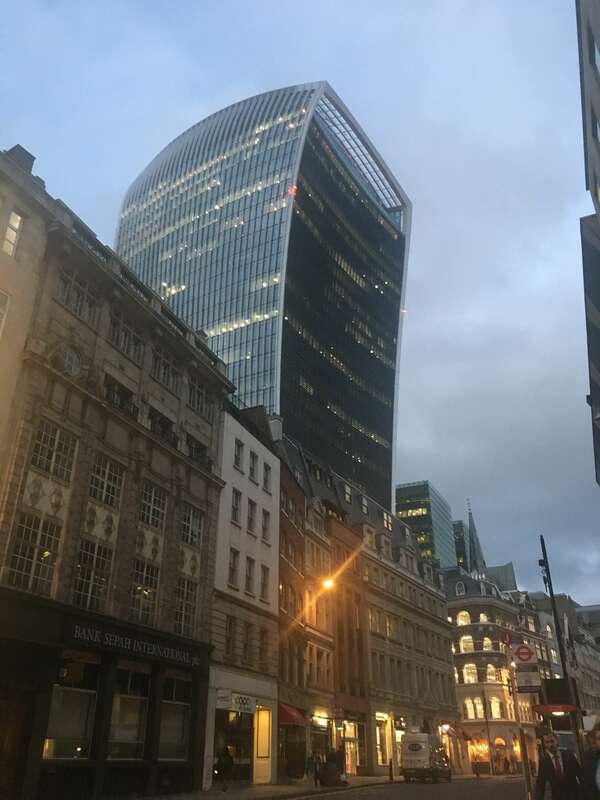 I love the view of the London skyline – especially at night. My favourite places to get the best views are The Shard, The Sky Garden and the London Eye. The Sky Garden has the best bar and you don’t need to book in advance to go to it. 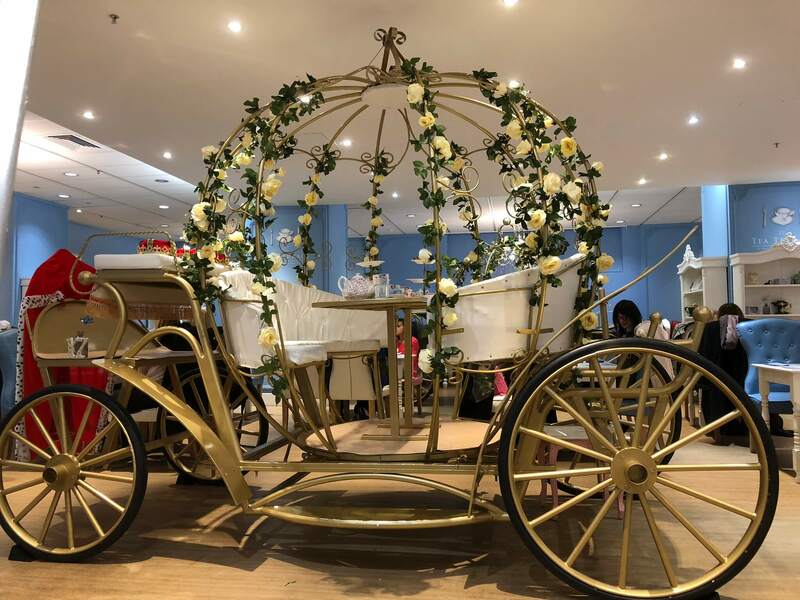 On our last visit to London, me and the girls had afternoon tea in a princess carriage at The Tea Terrace in House of Fraser on Victoria Street. 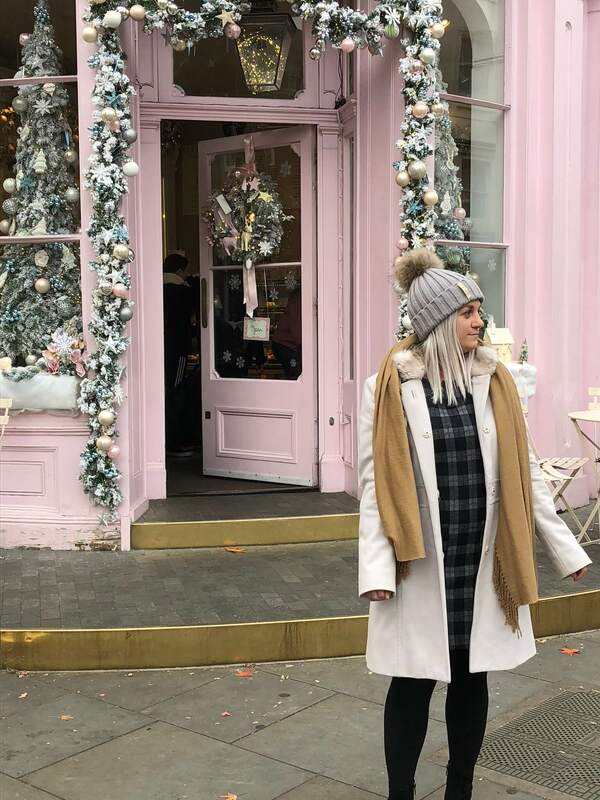 Of course, no visit to London would be complete for any blogger without stopping off at Peggy Porschen Cakes or, as it’s more widely known, the most instagrammable place in London. My best friend and I rushed off to get some quick pics here. You know, doing it for the ‘gram. Need more London inspo? 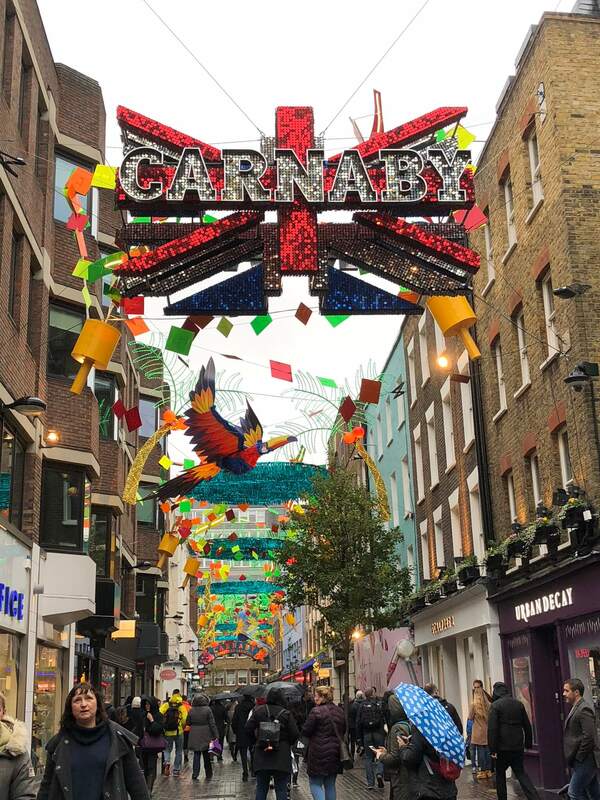 Check out some of my other London posts here.